As a writer, he was associated with several successful films across different genres. When one came across tukbandi or rhyming phrases in a film, one knew it was Milap Zaveri’s pen at work. Direction was always on the cards – after writing for films for eight years he made his directorial debut with Jaane Kahaan Se Aayi Hai in 2010. The film could not click at the box-office. 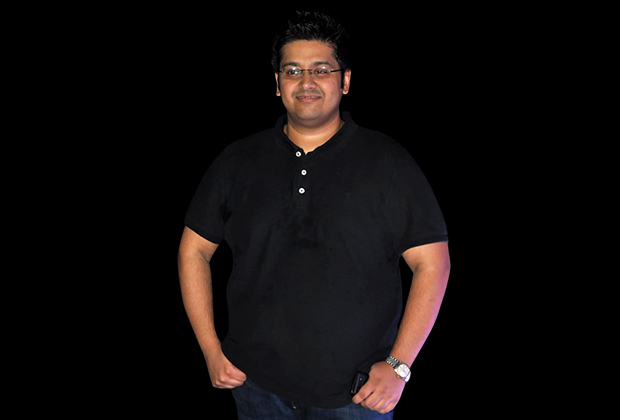 His second film Mastizaade, which arrived six years later, too met with a similar fate. However, this year after the release and the subsequent success of Satyameva Jayate, his third feature film as a director, he proved to the world that he is not only a competent writer but can translate the written material onto the screen very effectively as well. In this interview, Milap talks about his recent hit that has garnered him recognition as a director for the first time and his journey in the industry so far. When I interviewed Manoj Bajpayee, he said that he had his doubts but you were extremely confident about Satyameva Jayate right from the time you narrated the script to him. Were you always confident about the fact that the film would prove to be a winner at the box-office? Success of a film is in the hands of the audience and a single individual can never predict how a film is going to do at the box-office. What you can do is work hard and try and make a film which will hopefully, entertain the audience. I had a lot of confidence in the power of the story, the dialogues and the action. John and Manoj sir were my first choices and I was thrilled when they said a ‘yes’ to the film. When Nikkhil Advani and Bhushan Kumar came on board as producers, I was sure that the film would have good music, it would be marketed well and get a good release for itself. Manoj sir is a phenomenal actor. Whenever he does commercial films, the audience loves him in that avatar. I had written dialogues for John and Manoj sir for Shootout At Wadala. Both of them delivered those lines fantastically and I was sure that this time around, too, they would carry off the dialogue baazi bit very well. You had directed two comedies Jaane Kahaan Se Aayi Hai and Mastizaade before this. But, the fact that you made an action thriller like Satyameva Jayate did not really come as a surprise because you had made an intense short film like Raakh and had even written and directed an episode for the TV show Saavdhan India called The Trunk. Did you make these projects to prepare yourself to make a feature like Satyameva Jayate? Yes! Raakh was an experiment. I wanted to take a break from comedy and make a thriller. I have been associated with films like Kaante, Shootout At Wadala and Ek Villain as a writer but nobody was giving me the opportunity to direct an action film or a thriller. Vir Das, Richa Chadha and Shaad Randhawa were kind enough to be a part of that short film. That opened a lot of doors for me and made people believe that I could direct an intense, hard-hitting film as well. So yes, Raakh and The Trunk acted as a good learning ground and paved the way for me to make Satyameva Jayate. You had a very good start in the movies as a writer. Your first two films Kaante and Jhankaar Beats got you a lot of acclaim. How you look back at your journey till date? It has been a great journey. I made some great friends and associates like Nikkhil Advani, Sanjay Gupta, Indra Kumar and David Dhawan. As a writer, I had my share of hits and flops. This has been a very special year for me as Satyameva Jayate is my first successful film as a director. I love to see the reaction of the audience in the theatres. The greatest high for a filmmaker is when the audience claps and whistles while watching his film in a theatre. You had mentioned in an interview that you regret not taking up writing work when you turned director. Was it difficult to bounce back as a writer after the failure of Jaane Kahaan Se Aayi Hai or for that matter, after Mastizaade? Even after the failure of Jaane Kahaan Se Aayi Hai, I got to work on films like Shootout At Wadala, Grand Masti and Main Tera Hero. I went through a rough patch after the release of ‘Mastizaade’. That is when offers started drying up and I ended up sitting at home without work for a long time. The only work I got at that time was the Ranveer Ching commercial which I wrote. For a long time, people did not want to associate themselves with me. But, I still had the support and encouragement of people like Nikkhil Advani, Monisha Bhojwani, David Dhawan and Rohit Shetty who made me believe that I could bounce back and do some good work again. Nikkhil Advani had co-produced your first film Jaane Kahaan Se Aayi Hai. 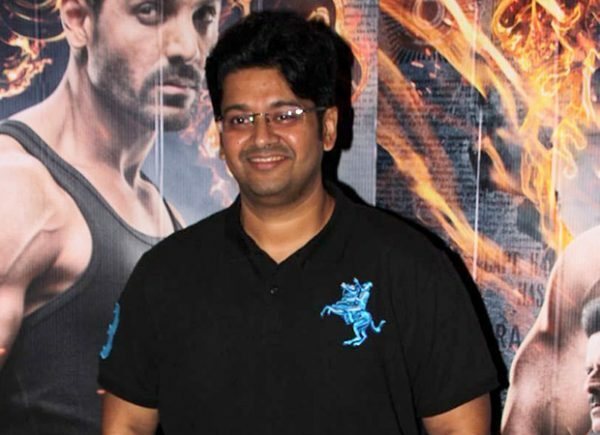 He is also one of the producers of Satyameva Jayate. What is the kind of equation you share with him? We have been friends for more than a decade now. After the release of Kal Ho Naa Ho, I was writing a script for him. We became friends and he gave me my first break as a director. Over these years, he has always been a friend. I always tell him that he has a lot of guts. Even after producing a film like Jaane Kahaan Se Aayi Hai for me which did not do well, he trusted me enough to put his weight behind Satyameva Jayate. This time around, I met his sister Monisha who heard the script and agreed to produce the film immediately. After John came on board, I got in touch with Nikkhil and he got involved with the film. He stood by me like a strong pillar of support and helped me during the shoot as well. Most of the times, when your producer happens to be a director, he tends to impose his ideas on you but that was not the case with Nikkhil. He gave me complete freedom as a director. The film is a certified hit at the box-office but it got negative reviews from a bunch of critics. In hindsight, do you think any of the criticism against the film was valid? No film is perfect and there is always room for improvement. There will be always some people who will not like a film. I completely respect their opinion and I am sure they must have had their reasons for not liking the film. For me, the most important thing is to make a film which strikes a chord with the audience. The fact that the film is a hit proves that a large number of people who watched it, liked it. I am sure there are some who did not. You have to keep working hard to improve yourself so that the next time around, you can make more people happy. You were supposed to direct a film for Sanjay Gupta. What happened to that? I was supposed to do that film a long time back, much before I had made Mastizaade. That project did not take off but I hope get to collaborate with him on something in the near future. After delivering a hit as a director, how do you plan to manage time between planning your next film and writing films for other directors? After Mastizaade, I sat at home for a year and a half. I feel so blessed that I have so many opportunities today. Films are my life and I am ready to work twenty-four hours a day as a writer and a director. I do not want to miss out on any opportunity that I am getting. My next film will also be produced by T-Series and Emmay Entertainment. I had a great experience working with them on Satyameva Jayate and I am glad that I am getting to collaborate with them on my next film as well. I thoroughly enjoyed making Satyameva Jayate and my next film will also be in a similar space filled with action, drama and dialogue baazi. I think it is very important for a filmmaker to establish a connection with the single-screen audience. I was overwhelmed to see the way people responded to the film in single-screen theatres. In the recent past, films like Baahubali 2, Baaghi 2 and now, Satyameva Jayate have reiterated the fact that theatres in smaller centres play a huge role in making a film a success. A theatre owner told me that me that during one of the shows of Satyameva Jayate, they had to find the board which had housefull written on it. They had not used it for long as they did not have a packed show for a long time. It is a great feeling that these kind of things have happened with Satyameva Jayate.